The 31 videos are organized under the steps of the world-class M&A integration methodology taught in PRITCHETT's Merger Integration Certification Workshop. PRITCHETT Consulting Clients, Merger Integration Certification Workshop Attendees, and Website Subscribers can access all the videos. 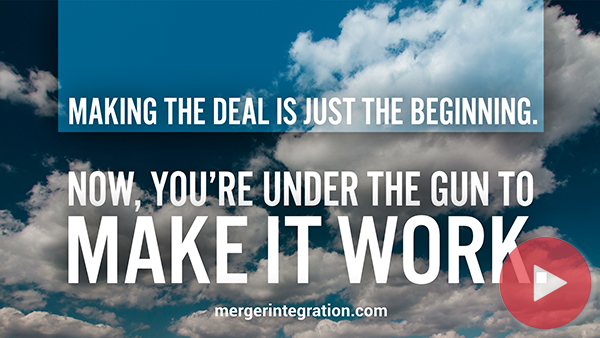 They can also access all the presentations, playbooks, books, articles, checklists, software, assessments, webinars, research, tools, and templates on MergerIntegration.com. Who Should Perform the Cultural Audit and Report the Findings? What Questions from the Operating Style Analysis Are Particularly Useful? What Do People Like about the Operating Style Analysis?